The political opposition has been extremely critical of the Government’s management of the economy. In spite of these ramblings, the Government recently announced that it has received favourable preliminary reviews from the International Monetary Fund (IMF) which will soon release its latest report on Guyana’s economic health. 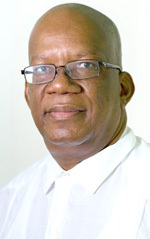 Minister of State, Joseph Harmon disclosed last week that Finance Minister Winston Jordan was the one who passed on the good news to Cabinet recently. Harmon said that Jordan specifically briefed Cabinet about the staff report on Guyana 2017 Article IV Consultation and the Financial Sector Stability Assessment (FSSA) that was considered by the Board of the Executive Directors of the IMF on May 24, 2017. Jordan reported that the IMF Directors commended the sound macro-economic policies of Guyana which helped to realize healthy growth and maintaining levels necessary for a sustainable path. The Finance Minister reported that the Directors were supportive of the actions currently being implemented regarding fiscal accounts, including Value Added Tax (VAT) reform and initiatives to improve tax administration. The Directors also welcomed Guyana’s plans to establish an appropriate fiscal framework for oil revenues and the plan to establish a Sovereign Wealth Fund. The Directors also agreed that the medium for long term prospects for Guyana were positive and encouraged the continued implementation of strong policies that will engender debt and fiscal sustainability while facilitating inclusive growth.